Mainstays 13.75 in Non-Stick Wok Only $5.76 + FREE Pickup! Mainstays 13.75 in Non-Stick Wok Sale! 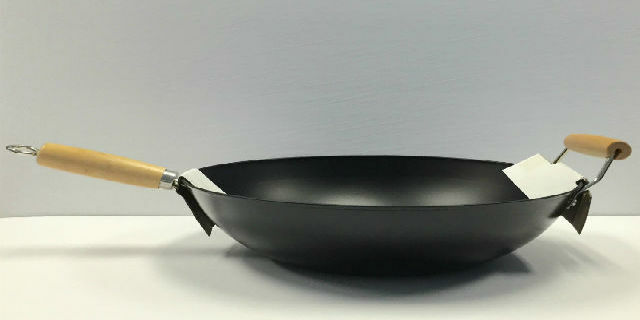 Head to Walmart.com and purchase this Mainstays 13.75 in Non-Stick Wok for just $5.76 with FREE pickup! Isn’t that great?! This is the lowest price I’ve seen on this item. So, you will not want to miss out on this great savings opportunity. Cook up your favorite stir-fry dishes in this Mainstays 13.75″ NS Wok. It is made with a non-stick interior surface, so food slides easily from the pan to the plate. The coating also makes it easy to wipe clean. This Mainstays wok features wooden cool-to-the-touch handles for safe flipping and stirring during meal preparation. **Want to wait? Be sure to bookmark this page and buy this Mainstays 13.75 in Non-Stick Wok later. 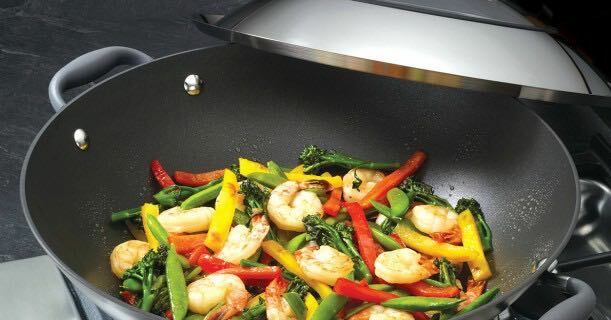 This wok is cool to the touch and has a non-stick surface. The round wok cooks foods evenly. Use it on gas or electric stovetops to stir together veggies, rice and meats. Wok-cooked meals are healthier because they use less oil than skillets. Let us know what online deals you’ve discovered lately, because we’d love to know. Hurry, and buy this Mainstays 13.75 in Non-Stick Wok at Walmart! **Buy this Mainstays 13.75 in Non-Stick Wok for just $5.76! Previous articleBlanket Scarves Only $7.99! REG $19.99!